Hi, this is Jason Salazar here at The Arena. Today I’m going to show you a little tip on clean and presses. We’re going through a couple different variations of kettlebells. Start off with a regular basic double, in between the legs, pop it up with my hips, and push. I like to do these with the fighters. We’re engaging our core and getting our shoulder workout at the same time. Because every time we’re throwing a punch, throwing those hips. The only way that bell goes up is with the hips, not using my arm, all hips. Nice hinge of the hips. Anyways, I’ll show you another one. We can go outside of our legs too. This gets a little harder. Takes a little more balance, little more of your hips. You can also do this with one kettlebell. You don’t have to do it with two. Then we have one where we take it across our chest. This is actually going to work your side, right here. Just same thing, pop just like so, back down. All these movements are great for if you’re fighting. All engaging the core and still getting our shoulder workout. And that’s my tip of the week. Every few years, a new system of exercise is developed and becomes popular. These days the latest fitness option is known as CrossFit, and although it’s been around since 2000, it has become exponentially popular in the last four or five years. Today, there are more than 6,000 gyms with CrossFit programs, and it is still one of the fastest growing exercise programs in the world. There are several reasons why CrossFit has become so popular in the last decade. One reason is that the CrossFit system is highly intense, but relatively short in length. So you get a great workout in about 30-60 minutes or perhaps even less. This makes it very simple to fit a good and intense workout into your schedule several times during the week. Let’s face it, these days finding time for fitness can be difficult, and CrossFit aims to make the process easier. 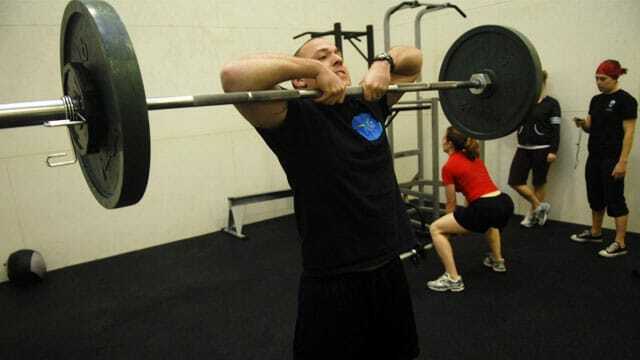 In addition, CrossFit stresses total body workouts and includes not only aerobic exercises but also body weight techniques and weight lifting. Another reason why CrossFit is popular is that workouts are varied, which tends to increase interest in the workout program. The higher your interest, the better chance you have of sticking to a program and seeing the maximum results. The goal of CrossFit is to improve fitness in 10 key areas. These areas include improving cardiovascular and respiratory fitness, as well as increase stamina, strength, flexibility, power, coordination, agility, balance and accuracy. In order to accomplish these tasks, a wide variety of exercises are taught and incorporated into each day’s CrossFit routine. To achieve optimum fitness in these specific categories, your daily workout will include the CrossFit combination of weight training, body weight movements and cardio activities. The cardio portion gets your heart pumping with intense exercises such as rowing and jumping rope. Body weight activities use the body as a weight or as resistance and will include everything from sit-ups to box jumps to lunges and rope climbs. Weight training is just as diverse, using tires, kettlebells and traditional barbells in many ways. There are even CrossFit games, competitions that have been held beginning in 2007. During the first year, winners were awarded just $500, but now the prize money has increased to $275,000, so this is definitely a serious contest. There are competitions for both men and women and in several different age categories. There is a general category for individuals younger than 40 and Masters categories for those older than 40 all the way up to 60 and older. It’s always a good idea to spend some time talking to your doctor prior to beginning any new fitness program. CrossFit is effective, but demanding, so make sure your body is up to the challenge before you sign up for any program. Obviously, if you want to become an MMA fighter or train in mixed martial arts, you realize this takes a great deal of commitment and hard work. You also know that you need to take a variety of classes in order to become a well-rounded fighter. In addition to taking Brazilian jiu-jitsu classes, Muay Thai classes, Judo classes or other classes that teach a specific martial art, there are some other classes you should consider adding to your training regime. Many people tend to overlook boxing when they plan out their training, and this is a big mistake. Boxers train hard, boxers are tough and boxers learn some highly important skills that you can use in an MMA fight. While Jiu-Jitsu and kickboxing are certainly helpful skill sets, learning how to throw a solid punch is huge and this is part of boxing. You also learn how to avoid punches and even how to take a punch with as little impact as possible. Boxing training also will improve your coordination and also your footwork, which helps you move around in the cage and set the pace of a fight. Wrestling has been around for thousands of years, and this is because as a form of defense, it works well. Wrestlers have that brute strength needed to engage an opponent ,and wrestling skills form a good base for all your other skills. Once you have learned some solid wrestling skills, these easily can be intermingled with boxing and Brazilian Jiu-Jitsu. If you can wrestle, punch and grapple, you will be a fairly well-rounded fighter. Imagine a fight where you utilize a Jiu-Jitsu takedown, use wrestling skills to overwhelm your opponent and then pommel your foe with solid punches. Add a chokehold or arm bar and you will have him tapping out or unconscious in no time at all. Going face to face with an opponent not only takes a lot of skill, it takes a lot of power and endurance. So you need to be looking into conditioning classes and strength training classes, which often are combined into a single class. This will increase your muscle strength and core strength through weight training and cardiovascular exercise. Select a San Diego mixed martial arts gym that offers these classes and many other types of classes all for one single monthly cost. That way, you can take a little bit of everything without breaking the bank. Another important type of training is just simply known as MMA training or an MMA class. It is in this type of class, that you learn how to put all your skills together and face an opponent. Your trainers will match you up with opponents based on your ability levels, so don’t worry if you are a beginner to MMA. Experience is the best teacher, so the more MMA classes you take, the better you will be. In recent years, there also have been some fitness training classes developed that can be of great use to someone training in MMA. The Arena in San Diego, for example, has designed a program that they call FightBuilt. These are strengthening and conditioning classes designed especially to accommodate the physical challenges that MMA fighters face. CrossFit is another popular fitness program to look at, and this program was created to improve a person’s overall fitness in ten different areas, from cardiovascular strength to flexibility to overall power. Becoming a mixed martial artist requires a great deal of commitment and plenty of hours of training each week. Not only will you take classes in specific forms of martial arts, such as a Jiu Jitsu class or a Muay Thai class, you also will need to include strength training and conditioning classes. Each of these components is important, and there are many different types of exercises and equipment involved. When you are working on strength training, you focus on improving your strength and power throughout the body. Conditioning focuses on improving your cardiovascular fitness, and this could include running, working on a treadmill, jumping rope or another activity that raises your heart rate and helps improve your overall endurance. Strengthening exercises are meant to increase your strength in a variety of areas. This isn’t just lifting weights, although that certainly is important. It’s also about building strength and power when you strike or punch and when you kick. You also need to build strength endurance so that you can hold a position, such as holding an armbar for as long as it takes for your opponent to tap out. Your MMA gym should offer a conditioning and strengthening class that includes a large variety of equipment and activities to help you target key areas. This will include everything from climbing ropes, strength bands and chains, as well as kettlebells, barbells, medicine balls, tires and much more. The goal is to increase strength, power and agility, and you need a variety of activities in order to do this. 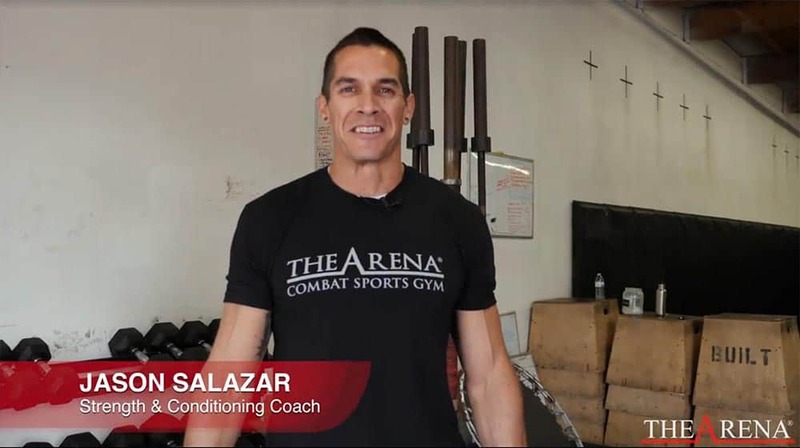 When you plan out your weekly class schedule, be sure to include at least two strengthening and conditioning classes, as well as your fighting classes. A good schedule might include a boxing class, two conditioning classes and two Jiu-Jitsu classes during the week. You might also add additional cardio, such as distance running or some other type of aerobic activity. It is best to discuss your needs and goals with an expert at your gym before setting a schedule. 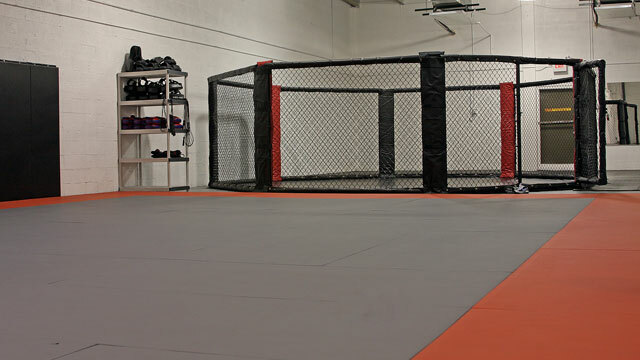 When you are searching for the perfect San Diego MMA gym, be sure to find one that offers a wide variety of classes in many martial arts forms with instructors that have actual experience either in MMA or the form of martial art that they teach. It is also best to choose a gym that charges one flat rate per month for an unlimited amount of classes, so that you can train all you need and experience new classes, thus widening your skill set. If you want to improve your proficiency in Brazilian Jiu-Jitsu, you must practice. Those serious about improving these skills should join a mixed martial arts gym and plan on taking a few weekly classes. In addition, one should also consider some of the following conditioning and strength-training exercises which will make Jiu-Jitsu a bit easier. If you like to swim, consider a good swim workout a couple of times each week. This can be a great way to start off your day, and unlike many other cardio exercises, there is far less risk of injury in swimming. You will build strength in your upper body which will improve your grappling skills, and swimming will keep your heart healthy and strong, as well as improve your lung capacity. Yoga might not seem very high intensity, but this form of exercise is a fantastic way to improve your core strength and flexibility. Many practitioners of Brazilian Jiu-Jitsu use yoga to improve their overall muscular health. There are many different types of yoga to consider, ranging from higher intensity Astanga yoga to Vinyasa yoga which focuses on improving your overall strength. To possess great Jiu-Jitsu abilities, one must work to improve their ability to grip and hold an opponent. Rock climbing is an activity that will focus on exactly that. In fact, there are few activities that more strongly rely on your ability to hold a grip. 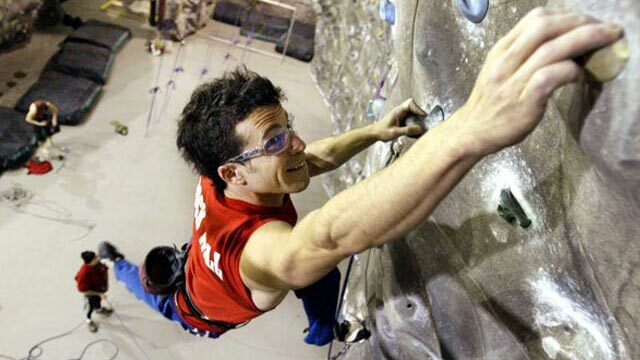 Check out the rock climbing options, both indoor and outdoor, in your area. Another key component of improving your skills is to improve your diet. Eating the healthiest food possible will make your body stronger and less prone to injury and illness. So talk to an expert and discuss your food and supplement needs before beginning any exercise program. Consider eating leaner cuts of protein that are high in creatine, which help you build muscle, and Omega 3’s, which protects your brain and heart, as well as your joints. 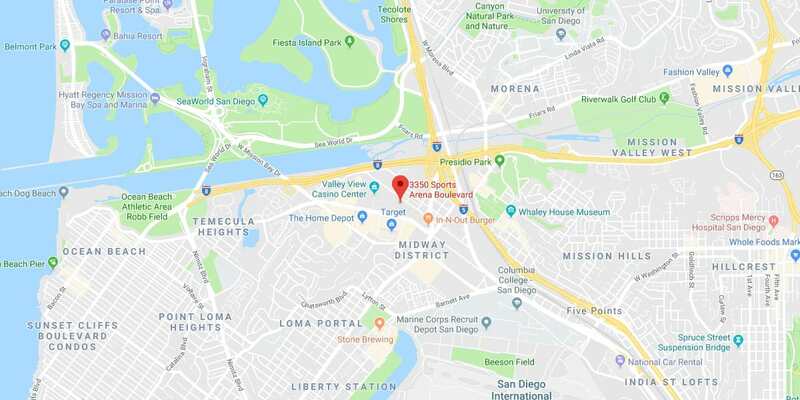 Select a gym that offers training in martial arts in San Diego, and find one where you can take as many classes as you like for one monthly due. Your gym should include strength and conditioning classes, Jiu-Jitsu classes and perhaps even boxing classes. All of these classes can be helpful. While serious mixed martial artists spend hours each day in the gym working on everything from Jiu-Jitsu to boxing to strength training, exercise is not the only important factor in becoming a great athlete. The better you treat your body, the stronger and more mentally focused you will become. One tip that should always be remembered is that you should never skip breakfast. Providing your body with a healthy mix of foods will give you a huge burst of energy in the mornings. Consider a protein-rich egg white omelet combined with a bowl of oatmeal or a smoothie that contains a mix of fresh fruits, hemp protein and almond milk. Add a scoop of natural, organic peanut butter or nut butter for extra protein and taste. Because MMA fighters expend so much energy, it is imperative that they fill their diet with plenty of healthy carbohydrates. These are known as complex carbohydrates and these foods are converted into glycogen by the body. This glycogen can help your if you need a quick burst of energy, and the leftover glycogen is stored in your muscles for later energy output. Poor carbohydrates, also known as simple carbs, provide a quick sugar spike but not energy is stored for later usage. There are many options for adding healthy, complex carbs to your diet. Whole grains such as oats, wild rice, brown rice and buckwheat are high in complex carbs. If you love pasta, opt for the whole grain or whole wheat pastas and you will be making better carb choices. Apricots, plums, pears and oranges are among several fruits with complex carbohydrates. When it comes to vegetables, most of them are full of complex carbs so feel free to eat a wide variety of vegetables. Vegetables are other solid sources of complex carbohydrates, and in general, you can pretty much eat all the vegetables you want. Most are low in calories and low in sugar, but high in vitamins and minerals. 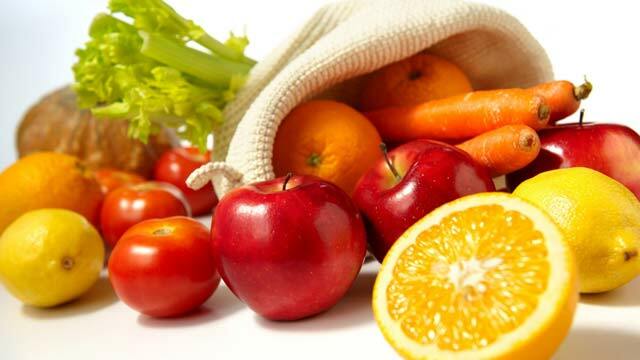 Fruits lean more toward simple carbs, but these are much healthier than processed simple carbs. Eating oranges, plums, grapefruit and other more complex fruits is always a good idea. How many calories you consume depends on many factors, including your current weight and the weight goal you are seeking, as well as the amount of calories you burn per day on average. Of course, your calorie needs will change when you are close to a fighter, as well as immediately after. It is a good idea to meet with a nutritionist to create a diet plan that meets all of your needs. Of course, it is only natural to want to cheat now and then, but keep those cheeseburgers and cookies few and far between. They will add nothing to your body, and the more frequently you eat healthy foods, the easier it will become to avoid the junk. From the time of a weigh-in to the moment the fight begins, you will often see many fighters go through a tremendous physical transformation. Within a 24 to 30-hour period, they can lose and gain as much as 10 pounds or more, which can be a huge advantage during the fight. While weight cutting is a typical part of many fighters’ game plans, it can be dangerous. Thoughtful, careful weight cutting can reduce the impact this process has on a fighter’s body. The dangers of weight cutting include damage to the organ systems of the body, particularly the kidneys. 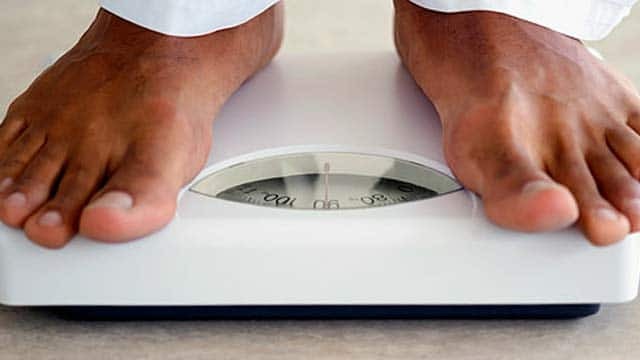 In addition, severe weight cutting can increase the risk of injury. In general, it is smart to start thinking about weight cutting about four to six weeks prior to the fight. Your goal is to get as close to the weight limit as possible, to give yourself more space to bulk up after the weigh-in. This means that a fighter typically should be about 7 to 12 pounds higher than fight weight a week prior to the weigh-in date. The best way to get to this point is with a combination of heavy training and eating a healthy and balanced diet that is low in fat. When you do reach that crucial 7-day mark, the more extreme side of weight cuts begins. One way many fighters begin is by drinking only distilled water. This throws off your body’s PH balance and allows you to quickly remove water from your system. The night before the weigh-in, cut all water and head to the sauna as this will help you quickly strip off the water weight. After weigh-in, you will have maybe 30 hours at the most to put weight back on rapidly. The safest way to do this is to eat healthy foods, especially fruit and complex carbohydrates. As far as hydration goes, drink small and steady amounts of water, coconut water and electrolyte drinks such as Pedialyte.